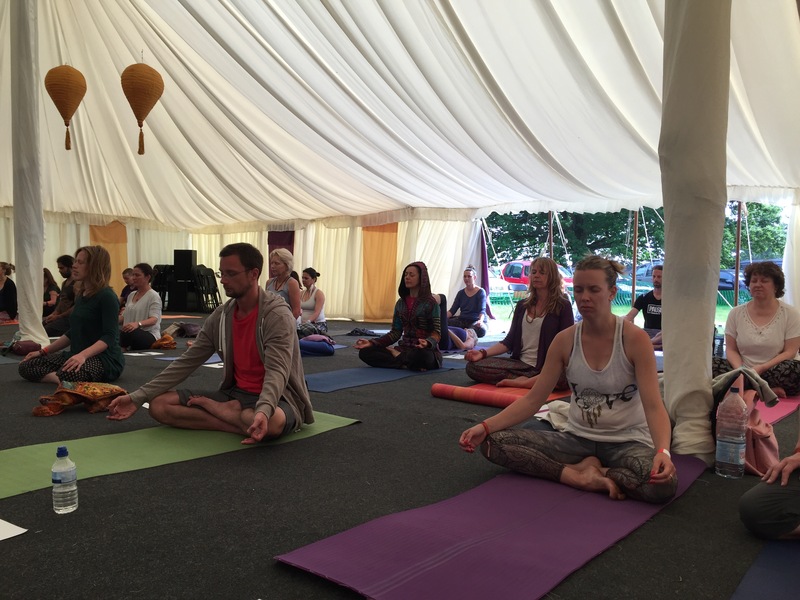 Sunshine in a field; yogaskrit in a tent. 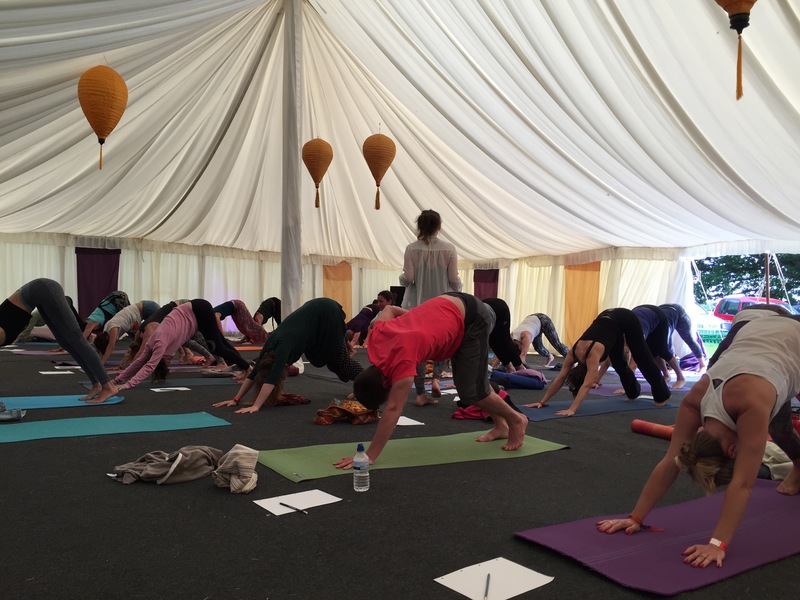 The first weekend of this month was Colourfest – a festival of yoga and good feels, in Dorset. 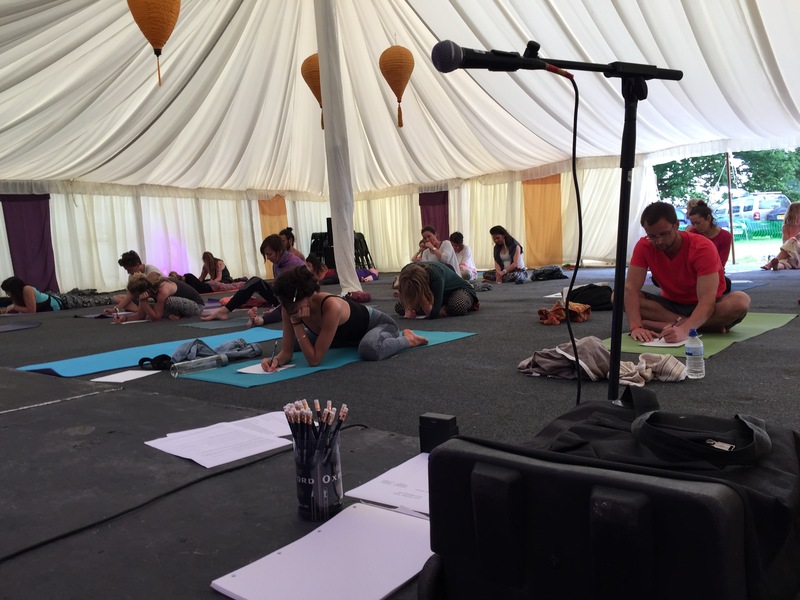 I had the pleasure of leading a workshop based on the stuff I’ve been writing about here – a bit of phenomenological anthropology, some asana and meditation, yoga mythology and some time for the attendees to sit on their mats and write or draw anything that came to mind. 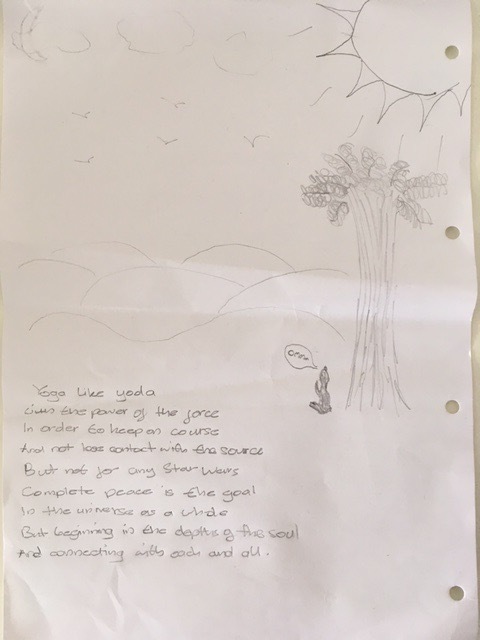 It felt good to share these ideas in such a peaceful place – thank you Colourfest! 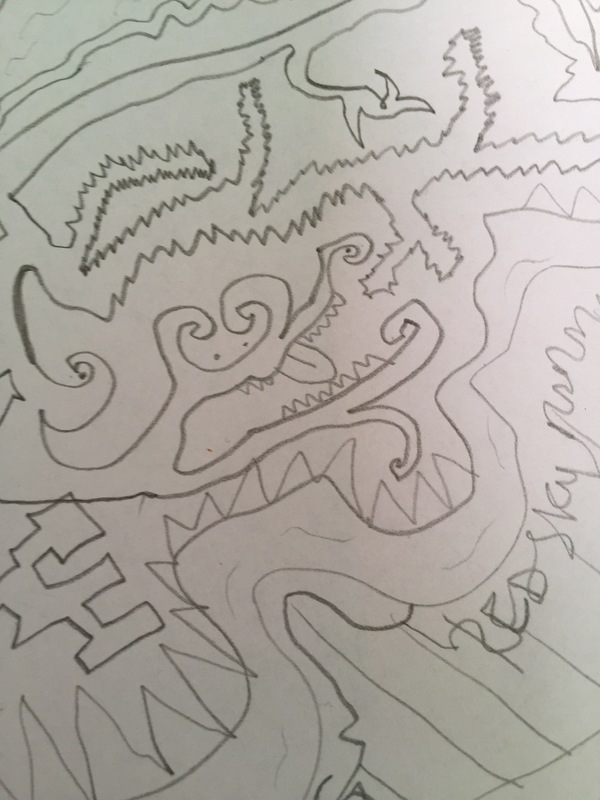 The two images below are of the mind-matter that came out on paper during the workshop for two of the participants; Hayley and James. I’m looking forward to teaching more workshops like this in London and beyond in the coming months – drop me an email or comment here if you’re interested in coming along to one. And if you happened to be at the Colourfest workshop and have any feedback, I’d love to hear it.